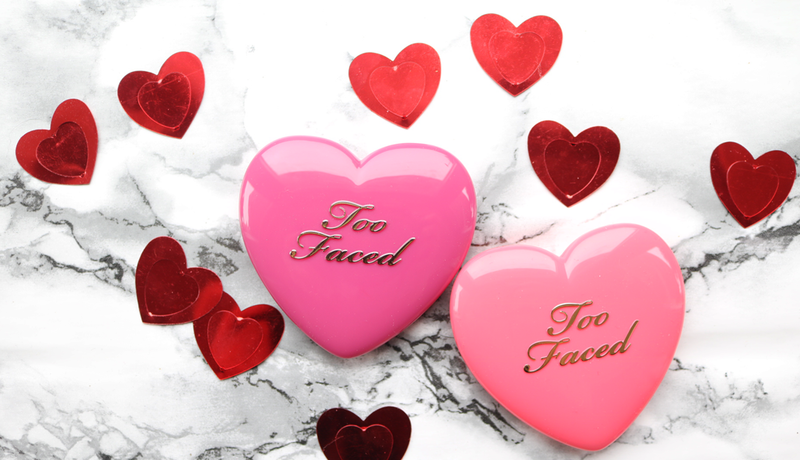 What could be more appropriate on Valentine's Day than a special feature on Too Faced's gorgeous range of heart-shaped blushers? 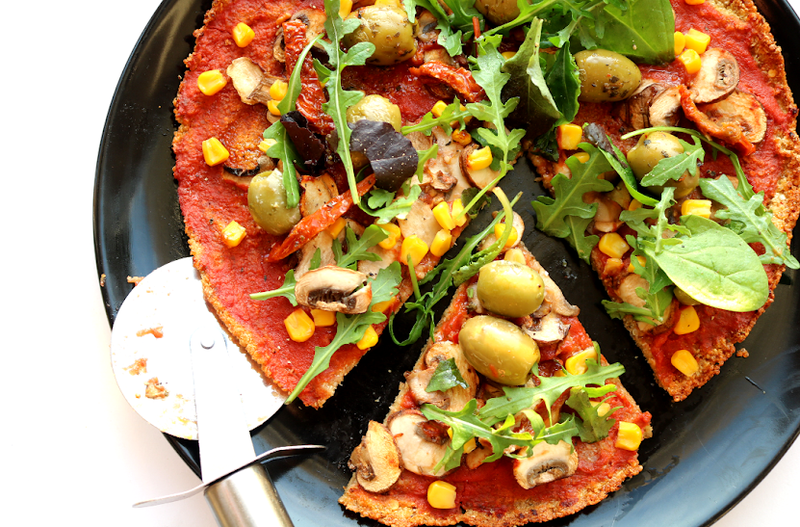 Get ready to swoon! 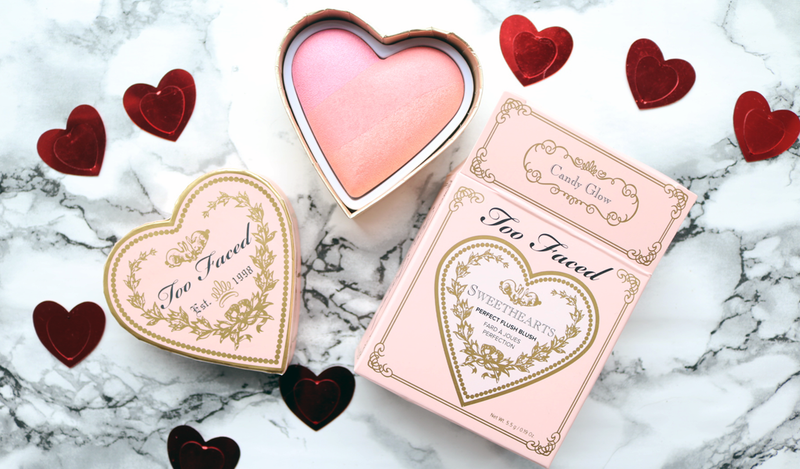 Too Faced are one of the best high-end, cruelty-free brands when it comes to pretty, girly, want-it-right-now packaging, and the makeup itself is equally as impressive. 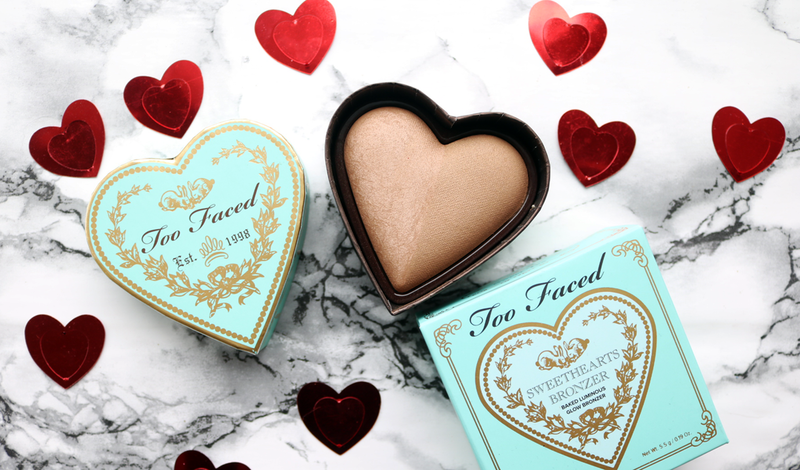 From chocolate scented eyeshadow palettes to these heart-shaped blusher beauties below, Too Faced have got it going on. 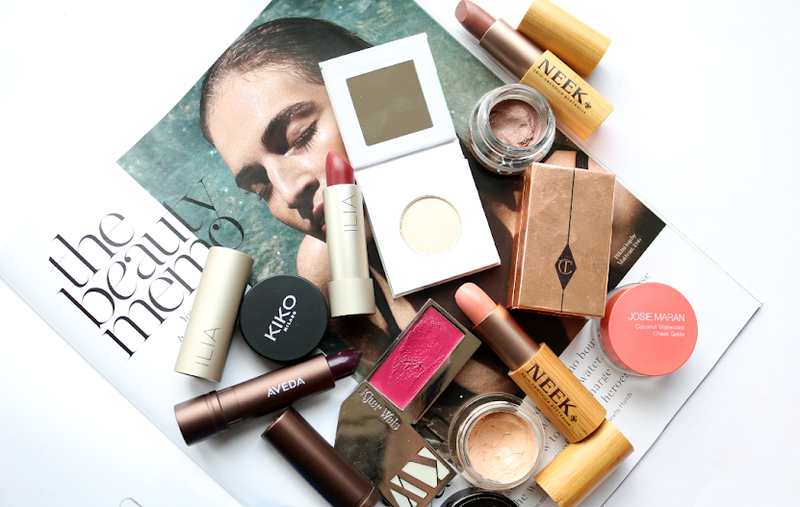 Here are some of my faves to add to your wishlists! 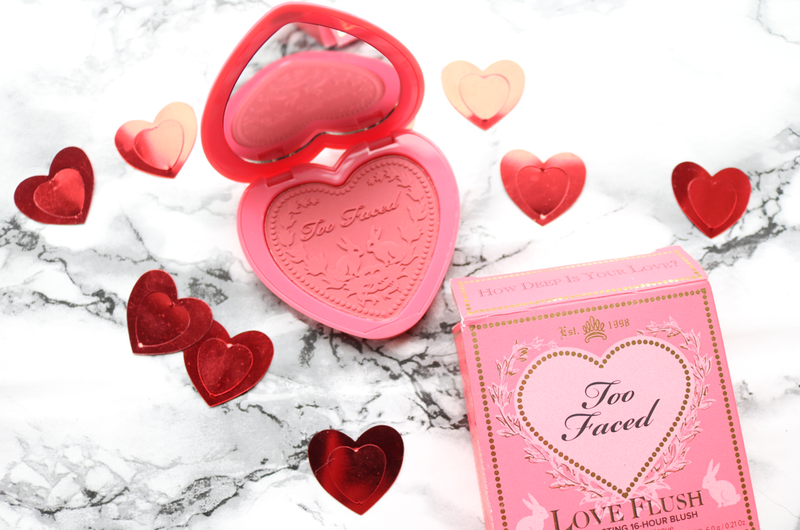 The Sweethearts range of blushers come packaged in sturdy heart shaped boxes (similar to Benefit's boxed blushers) and inside you'll find a beautiful baked blusher with a trio of wearable shades that you can either use individually or swirled altogether. Candy Glow features stripes of rose pink, coral and peach, all of which have a fine gold shimmer for extra added glow. The baked formula is perfect for just a subtle flush on the cheeks with one easy swish of your brush. 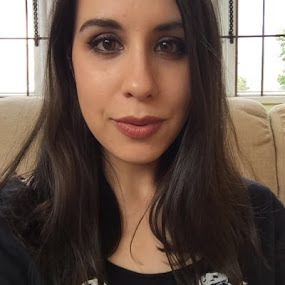 This isn't a scary, super-pigmented blush at all, but you can build it up slightly if you want a more pronounced finish and it lasts a long time on me without needing a touch up (around 8 hours). Personally, I love how natural and pretty it looks as it can be easy to go overboard with things like blusher (that China Doll look just ain't my thing), so if you're a makeup newbie or just want a natural-looking, pale peachy-pink blush with a hint of glowy shimmer, check this one out! If you're after a bolder, berry pink shade, Something About Berry is the colour for you. 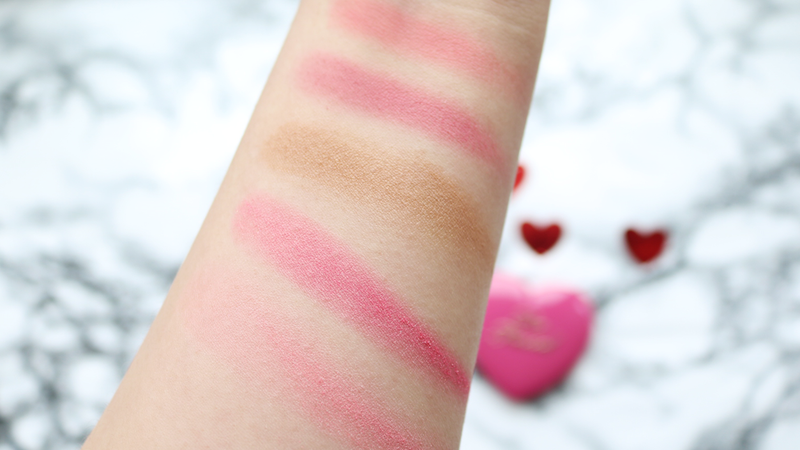 This cutie has three stripes of blush across its heart; a straight up girly light pink, a pinky gold toned highlighter shade running through the middle, and a deeper berry pink - all with fine gold shimmer blended in. Swirled together, this blusher will give you a bright medium pink shade with lots of glow. I found this one to be more pigmented than the Candy Glow above, but wear time and performance were still the same and it was really easy to work with. 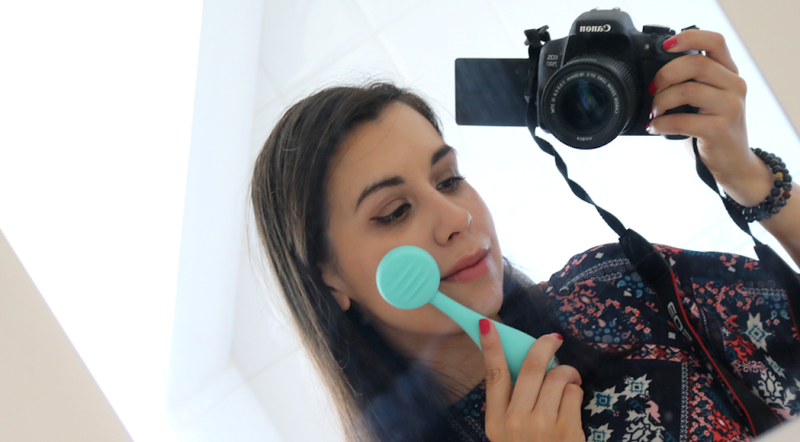 Like many, I've been so obsessed with contouring that I've neglected my more natural looking bronzers in favour of matte darker shades, so it was such a nice change to try out this one! 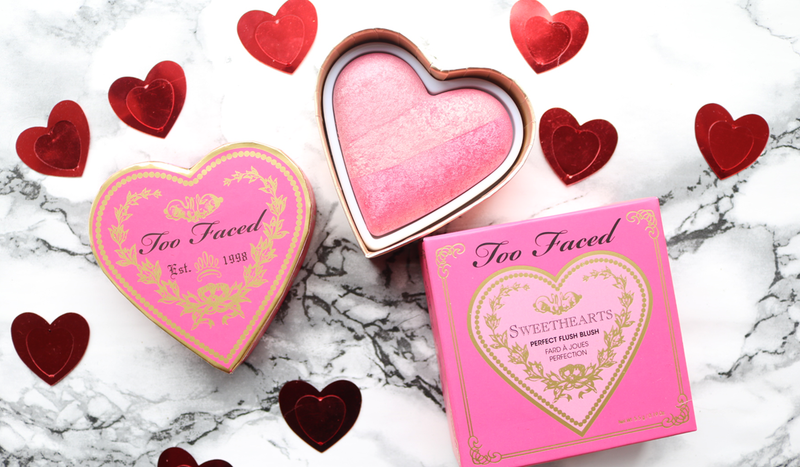 Sweet Tea shares the same fantastic baked formula as the Sweethearts blushers and it looks amazing on the skin. There's not a hint of orange here at all and it has two colours; one half is a lighter brown, and the other half is a darker, warmer brown. Both sides have fine gold shimmer, and when mixed together, they become just a beautiful, natural looking, luminous, healthy glow bronzer that would be ideal for fair skin tones, or used as a golden highlighter for medium skin tones. I managed to get around 6-7 hours of wear out of this before it started to fade, and like the others, it was easy to blend and work with. 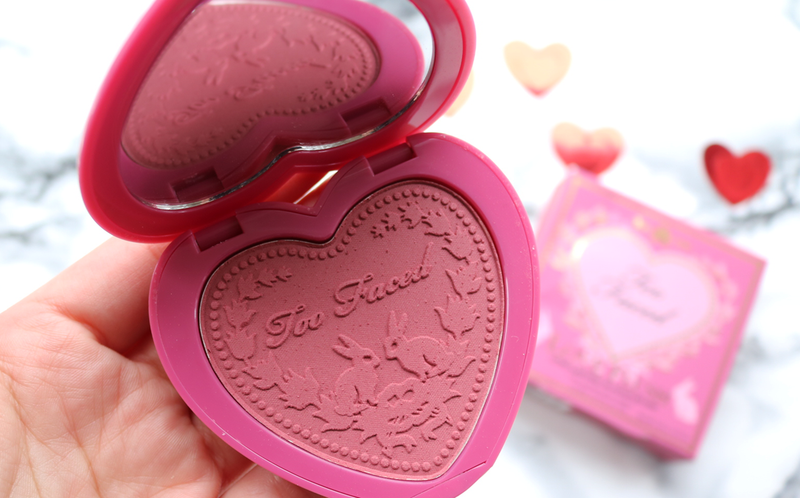 Stealing the top spot for the most jaw-droppingly gorgeous blusher that I own, Too Faced Love Flush Blushers are just all the heart eyed emojis brought to life! I mean just look at it - it's heart shaped and there are bunnies on it!!! 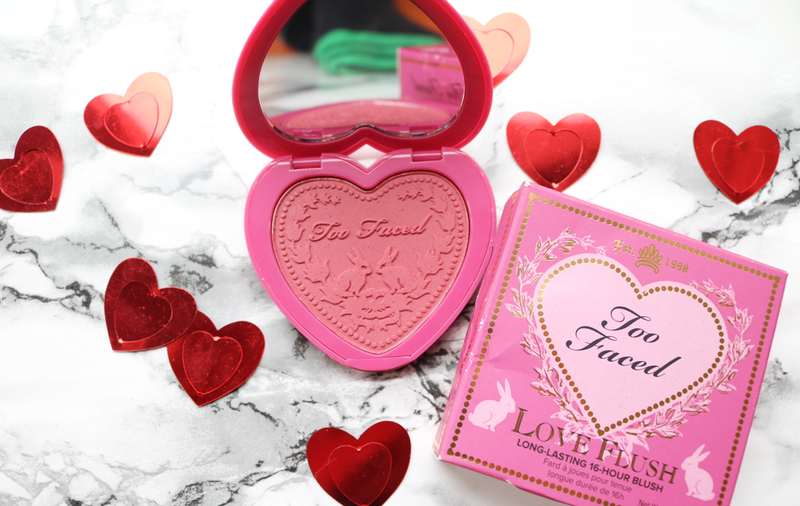 It comes in a sturdy shiny plastic compact with a mirror (always a bonus in my book) and the powder has a lovely silky softness to it, yet it's firm enough to avoid loads of fallout when you put your brush into the pan. There's no shimmer with these ones, but the colour manages to avoid looking flat, and this shade Your Love Is King is the most wearable plum-pink blusher that I have in my makeup collection. I found that it didn't live up to its 16-hour wear claim though, but it still managed to stay put for around 8-9 hours which is nothing to complain about in my opinion! How Deep Is Your Love? is a bright watermelon pink that looks bolder in the pan than it translates onto the skin. It's slightly less pigmented than Your Love Is King, but that same silky softness is still there, and it's easy to work with and build up if that's what you want. It's matte, however like Your Love Is King, it doesn't look powdery or flat, and it brightens up my whole face - a good choice for Spring! Swatches! 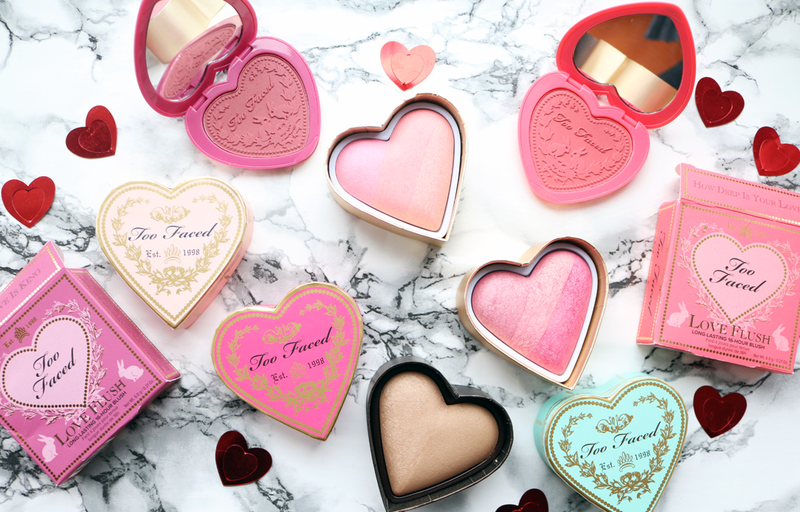 From Top to Bottom: Too Faced Love Flush Blusher in How Deep Is Your Love?, Love Flush Blusher in Your Love Is King, Sweethearts Bronzer in Sweet Tea, Sweethearts Perfect Flush Blusher in There's Something About Berry & Sweethearts Perfect Flush Blusher in Candy Glow. Oh my, Something About Berry is so stunning! I wanted it some years ago but never got it. Still mesmerized by it!